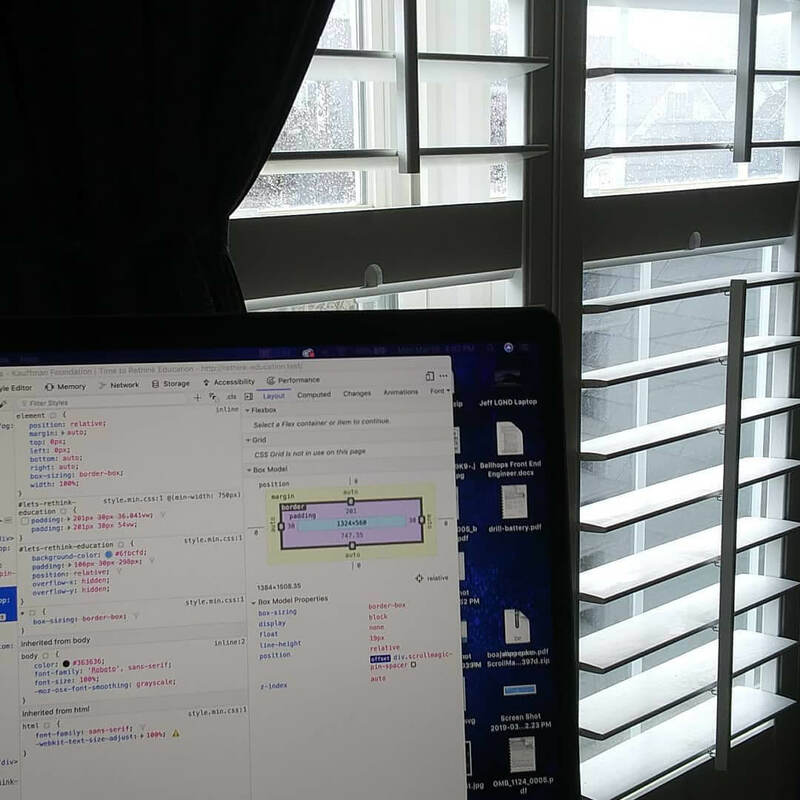 This week it was back to working remotely from my home office. Last week, I had traveled to DC to spend time with my team in person. One of the affects I saw this week was much more personal interaction on Slack. I definitely feel more of a kinship with my teammates now that I had the chance to interact with them in person and get to know their stories. View from my desk back in my home office. We got a lot of rain on Monday. I was really glad when my project manager reset the timeline for the project I have been working on. We were suppose to move into QA this week and show the site to the client on Thursday. But because of our team getaway and some other factors, it worked out better to push back things to start QA on Friday and present to the client next week. The last things I had to do on the project were to apply some scroll animations. This is the first project that I have worked with ScrollMagic and GreenSock so I was glad to have a bit more relaxed time to work out the animations and then rework them a bit to add the final polish to the project. It also gave me a day to run through browser testing and catch things that did not work as expected in other browsers. I enjoyed my work so much more and was able to do a much better job without having to rush things. I got a lot of positive feedback from my team when I shared the staging site URL so that others on my team could start QA on Friday. The more relaxed timeline also allowed me to jump in on some other projects. Both of those were to make changes to content on sites I have developed in the past. It was nice to step away from the other project that I have been heads down on for the past three weeks. The first project, Sharing Solutions, we were adding a video to the top of the homepage. We also needed to add a call to action to help increase the amount of resources and stories shared on the site. We also implemented a new solution for a chatbot. In the first version, it was inline. We decided to pull it out of the inline and make it come up in a modal window when the user clicked on a trigger. I had to come up with a new layout solution for the homepage because the Twitter feed was running longer and creating a lot of empty space in the layout. I came up with a new solution to add 2 more tweets to the feed and make the layout horizontal instead of vertical in the sidebar. The second project, CNAS In The Field, I added some new locations. This involved creating some new graphics for our interactive map and then applying some new background images for the individual location pages. It took me a bit longer just because I have not touched this project since last summer so it took me awhile to get reoriented with how I built things and what I needed to do to update the site. The biggest challenge of the week was battling allergies. The tree pollen is very high this week in Chattanooga. I was very congested and had a really bad headache over the course of two days. I was glad that I felt better by the end of the week. I was very excited this week because Art Direction for the Web was finally published. I had read Andy Clarke’s article on Smashing Magazine in April and was really looking forward to reading the book. He had intended to release it much sooner but it became a bigger project than he initially thought. I have access to the e-book right now but I think I am going to wait until the print version hits my doorstep in two to three weeks. On launch day, Smashing Magazine had a live seminar with Andy for Smashing members. They released the video on Wednesday and you can watch it below. I finished a book this week, Devoted to God. I have been reading it along with some other guys from my church. We meet every other week to discuss the book and encourage one another. I had read the book on my own about a year ago. But I wanted to re-read it because it was so good and I wanted to be able to read it with others so that I could get some perspectives that I did not get from reading it on my own. I was very excited for some new books that came in the mail on Wednesday. I really enjoy sketchnoting but I really need some fresh perspective to breathe new life into the sketchnoting I do. 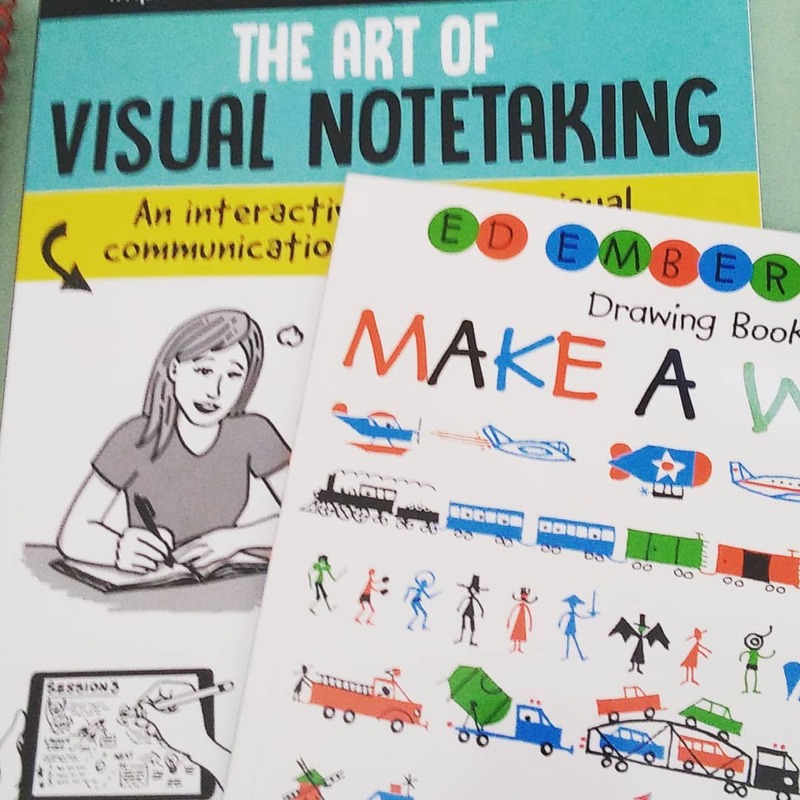 So I am looking for to reading Emily’s book, The Art of Visual Notetaking. And looking forward to working on my technique with Make a World. As I mentioned, I used ScrollMagic and GreenSock in my recent project. I would highly recommend Petr Tichy’s tutorials and workshops at I Hate Tomatoes. I went through both the ScrollMagic and GreenSock 101 courses (they are free) and then moved onto the ScrollMagic workshop. Peter is a great teacher and I benefitted greatly by going through these courses. I was also very excited this week as baseball season started on Thursday. Baseball has always been my first love among sports. Always enjoy the start of a new season. Looking forward to heading back down to Atlanta this summer to catch another Braves game. I think the Royals are playing there and hoping to catch a game with my friend who is also a Royals fan.